December is one of the worst months to have a birthday. Everyone is so busy with Christmas and the holidays that your birthday gets lost in the shuffle. As an adult, it’s not a big deal. But as a kid, it’s crushing. I remember being so jealous of my friends. Everyone could come to their birthday-party-on-their-actual-birthday. No one tried to cheap out on their present. Friends and relatives actually remembered to call them on their birthday. (This was back in the days before Facebook and cell phones when people actually picked up the phone). You may think your December-born kid doesn’t notice, but I can tell you from experience that they do. Here’s 3 ways you can help your December baby feel special on their birthday. Hold their Birthday Party with Friends on an Alternate Day. My birthday is later in the month, when it’s almost impossible for anyone to come because of the Christmas holidays. My mom would always throw my party at the end of November or beginning of December so my friends could be there. On the child’s actual birthday, something simple with immediate family is good. Children love traditions, so make up a simple tradition that works for you and your family. We always went bowling because it was one of the few things that was open and not crowded on my birthday. I realize this is a First World problem, but please do not combine your child’s Christmas and birthday present unless they are older and say it’s okay. If you wouldn’t do it for your child born in June, you shouldn’t do it for your child born in December. I know, practically speaking, you can give your child a bigger present if you put them together. However, children don’t think that way and will notice that they only get one present all year and their siblings get separate Christmas and birthday presents. This seems so silly. Why wouldn’t you use the wrapping paper that is readily available this time of year? It’s not silly to your child. I remember being very annoyed and feeling like people didn’t care as much about me. When I got older, I didn’t care as much and now as an adult I don’t care at all. However, please humour your young children and give them the birthday wrapping paper. Whether you go all out or keep things super simple, all your December baby wants is to be treated like any other member of your family on their birthday. And if your December baby wants to embrace the season and have a Christmas-themed party? More power to them. Just please make sure it’s their choice. 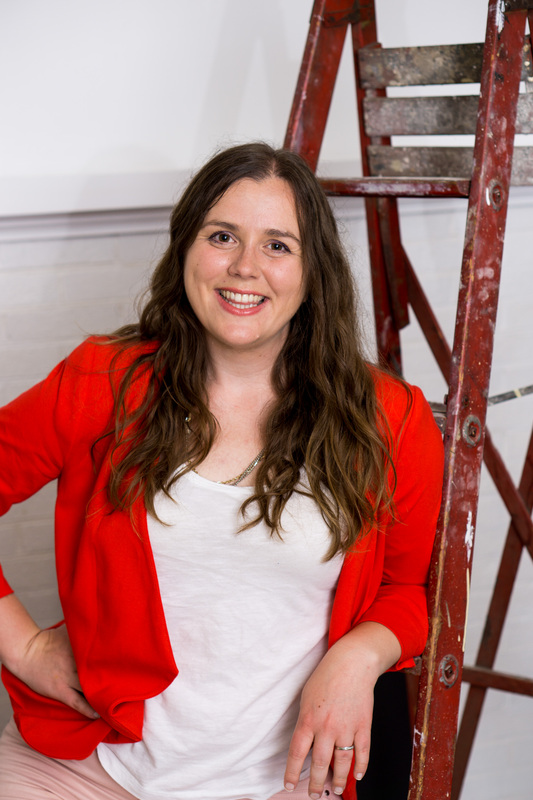 Kristen Raney is a December baby and the voice behind the prairie lifestyle blog, Shifting Roots. Follow her on Instagram and Facebook for recipes, home renovations, and gardening tips, with the odd DIY disaster thrown in. Lol! I can’t help but giggle. My birthday is right before Christmas and my aunt’s was on Christmas. My bday was always on the last day before school break so we always got a party. Growing up at first I thought it was for me. Yes December birthdays are rough. My mom did an exceptional job too keeping them separate and making sure I knew my birthday was special too. My husband’s birthday is the week before Christmas. He also insists on no Christmas wrapping paper. But he does want a chocolate cake shaped like a Christmas tree, just like his mom used to make! This year, we are going on a weekend trip to make it special. Not sure what I’m going to do about the cake! So sweet! I love this! Birthdays are so much fun to celebrate. As a December baby myself, I love this! I love this! I have several family members who are either right before Christmas or after. Great advice! My little one has a bday Dec. 28th so I️ know about this for sure!! My birthday is on December 15th, so this literally speaks to me. I’ve complained many times when people have combined my birthday and Christmas gifts. Yes, like you said, it’s a very first world problem, but if my friend has a birthday in June, I don’t say “Oh hey, this is for both your birthday and for Christmas.” It’s just not fair. I’ve also had the struggle of people being gone for my birthday, especially with the majority of my friends now being in the military. This post is everything. Sharing with everyone! 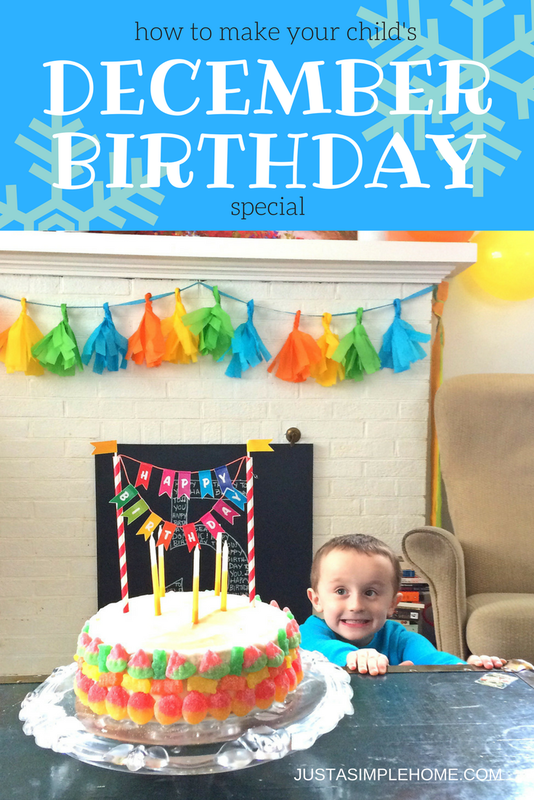 My son is a December baby these are great tips, I will keep these in mind when planning his birthday! Thanks for sharing! Awww, these are great tips. I have a few friends with December birthdays and they struggled with the same things you did. These are all really wonderful tips! I used to have a co-worker whose birthday was close to Christmas and she celebrated in February with friends just to avoid the holiday rush! Oh my goodness. Let’s talk about the doubling up and Christmas wrapping paper. I’m a Thanksgiving babe and this happened to me! I’m an early January birthday just when everyone is worn right out from all the Christmas crazy-ness! Lol. I struggle with making both my boys feel special without making myself crazy, their birthdays are 2 days apart. Yay for December babies! My daughter, husband and father are all December babies and I always try to make it special! I love reading this! These are great tips! It would be pretty tacky to use Christmas wrapping paper as birthday wrapping paper! Awkward! I’m glad your mom was able to make you feel super special on your birthday.